Are you always super happy? Do you love smiling, group hugs and rainbow unicorns? Can you find the silver lining in any thundercloud? Then you can easily identify with Joy! She controls all the happy emotions inside the mind, and she’s always in a good mood. It’s no wonder she’s the life of the party, compared to other emotions like Anger (you can’t take him anywhere), Sadness (what a party pooper), Disgust (so self-absorbed) and Fear (who never wants to do anything). And it’s no wonder you want to dress up like her for your next costume party. 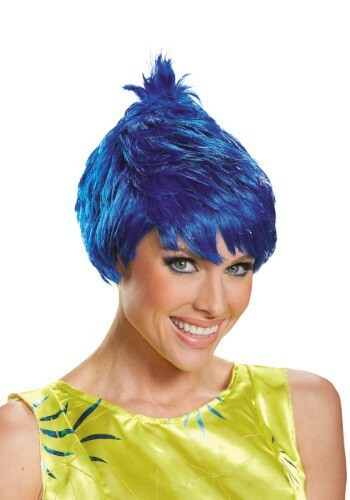 Start with our Inside Out Adult Joy Wig. The feathered blue pixie wig looks just like Joy’s hair in the movie. You’ll feel super joyful while enjoying this joyous wig!